Non-stop casino excitement and winning action! See what’s happening now at Gold Dust West Casino Reno. With our monthly events and giveaways, there’s even more ways to win. 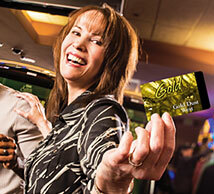 Check out our promotions for exclusive offers for Gold Rewards Club members as well as other casino action. Don’t miss out on the best events and promotions at Your House Full of Friends! Earn 50 points and receive a specialty drink, $5 off at the Grille, and an entry into the Battle of the Sexes Slot Tournament with over $2,000 in prizes! 5X Points 5X points on Reel Machines when you play on Tuesdays with your Gold Rewards Club card. Swipe at the kiosk for your multiplier. 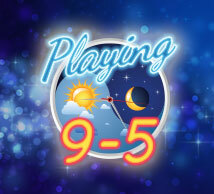 Play 9-5, 7 days a week and receive 2X points on all machines. $2.99 will get you a Complete Breakfast which includes eggs, bacon or sausage and toast. Plus, all casino workers will get $10 E-CASH with a valid casino I.D. and 50 points earned on their Gold Rewards Card that day. 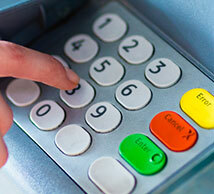 Receive $5 in E-CASH for all new members of the Gold Rewards Club. After 50 points on day of signup, receive the Prime Rib Special FREE. Plus, receive a coupon sheet for $10 in E-CASH each week up to the next 8 weeks! Gold Dust West ATMs are FREE. Bank fees may apply. 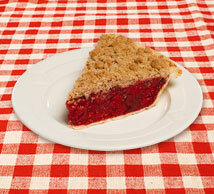 Enjoy a delicious piece of pie for FREE with a food purchase of $7 or more. Offer valid 11am – 10pm. Includes salad, dinner roll, choice of potato, side dish and chef’s choice vegetable. Available for lunch and dinner. 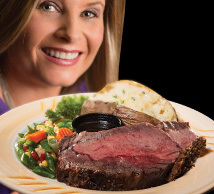 New Gold Rewards members receive a FREE Prime Rib Dinner when they earn 50 points on the day of sign up.